Rev. Arthur E. Schultz, associate minister. Church built in 1924. 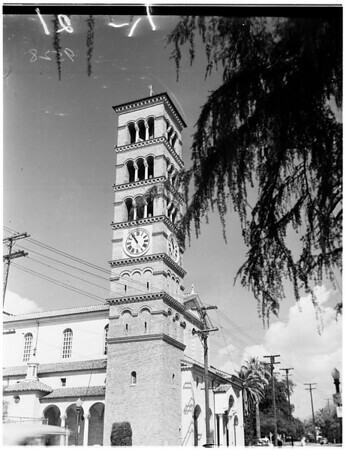 St. Rita's Catholic, Sierra Madre. Westminster Presbyterian Church - Pasadena. Methodist Church of the Good Shepherd, Arcadia. St. Andrew's Catholic, Pasadena".